NOTE: THE CONDITIONS OF BUSINESS SHALL CONSTITUTE AN AGREEMENT FOR A SUPPLY OF VALUATION SERVICES (THE “AGREEMENT”) BY CHINESE ANTIQUE VALUATIONS (THE “COMPANY”) TO YOU (THE “CLIENT”). 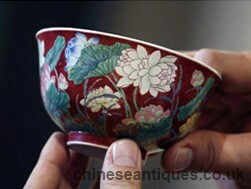 YOU SHOULD CAREFULLY READ THE TERMS & CONDITIONS SET OUT BELOW AS THEY WILL FORM PART OF A LEGALLY BINDING CONTRACT YOU WILL BE ENTERING INTO IF YOU CHOOSE TO HAVE YOUR ITEM VALUED BY IRV GRAHAM CHINESE ANTIQUE VALUATIONS. By submitting the photographs of the item to be valued and any related information, the Client: accepts of the Conditions of Business as set out here; and grants the Company a world-wide non-exclusive, perpetual, royalty-free licence on all the material provided. The Company reserves the right to refuse to provide a valuation. The Agreement shall consist of the Terms & Conditions of Business. No other documentation, correspondence or any other form of communication shall form any part of the Agreement unless both parties so agree in writing. The Agreement shall only be entered into and come into effect once the Company has accepted to make a valuation of the object and the Client has paid the Price subject to the Company’s right to withdraw its services in accordance with the terms hereof. Under the Agreement, the Company shall provide a valuation service regarding the photograph of an item submitted by the Client. This service consists of giving an electronic estimate of the value of the item submitted (high and low estimate) which in the Company’s opinion could be achieved if the item(s) were to be sold without reserve on the open market at an international auction with a reputable auctioneer after appropriate marketing and on the basis of your warranties and acknowledgements set out below (the “Valuation”) at the time the Valuation is given. The Valuation does not take into account any sale expenses, commissions and taxes (including capital taxes, duties, excises, value added or sales tax) which might apply or become due on a sale or transport of the item. Unless otherwise stated in writing, the Valuation is based upon a preliminary inspection of the photograph of the item submitted and without any physical inspection, cleaning, restoration, detailed inspection or disassembly and without any research into the item’s background or further tests and analysis. The Valuation provided is a statement of opinion and not fact. The Company aims to provide the Valuation within two (2) Working Days (Working Days for these purposes are weekdays on which banks are open for business in London) after the Client has submitted his request provided you have submitted all relevant information and clear photographs. If this period of 2 Business Days is exceeded and the company has not been able to provide a valuation, the company must write to you setting out the reasons why and extend the valuation period by an agreed timescale in agreement by both parties, If the valuation is delayed by lack of information by the client at an agreed time, the Client shall not be entitled to a refund. The Company gives no representation, warranty or guarantee in the Valuation in respect of an item’s origin, provenance, attribution, condition, date, age or authenticity. The Company makes no representation or warranty in the Valuation that the object will realise the amount at which it is valued upon a contemporaneous or subsequent public or private sale. The Company does not warrant or represent in the Valuation that the object valued is safe, functioning or fit for the purpose for which it was intended. The Valuation shall remain the copyright of the Company and shall be prepared only for the Client and is not to be used by any other person, or disclosed to any third party (other than the Client’s professional advisors) or reproduced or published in any form without the Company’s prior written consent. The Client shall indemnify and keep indemnified for 21 years the Company and its affiliated companies, and its and their servants, employees and officers against all liabilities and expenses incurred by them as a result of any breach of the above commitment by Client or arising from related claims by third parties in connection with the Valuation. The Valuation may not be used for official or formal purposes such as (without limitation) in legal proceedings, insolvency or bankruptcy proceedings, divorces cases, for insurance purposes, or anything such like. The Valuation is provided at a given date (the date the Valuation is sent to the Client). The Client shall have a perpetual non-transferable licence to the Valuation subject to the Company’s right to revoke or withdraw its Valuation. The Client shall pay the Price for the Valuation to the Company. The Client warrants to the Company that he is the owner of the object or is duly and properly authorised by the owner to have the item valued. The Client warrants that each item submitted for valuation is free from any third party interests, restrictions or claims whatsoever. The Client warrants that all material provided is owned by the Client or the Client has the right to use such material and provide it to the Company. The Client indemnifies the Company fully with respect to any breach of this warranty. The Client shall provide clear and accurate photos and provide full and accurate information about the object, such as already known authenticity issues, relevant location of the item, provenance, condition, condition issues, previous sales history and any other related information, in the possession or knowledge of the Client, his agents, employees, servants, advisers or his family. Where “family” in relation to a Client for the purposes of the Conditions of Business means the spouse or civil partner of the Client (including former spouse or civil partner), siblings (including step-siblings), parents (including step-parents), and children (including step- children and adopted children) of the Client or the Client’s spouse or civil partner. The Client acknowledges the following statement. The Valuation is an estimate that is a matter of reasonable opinion and as such opinions as to value may differ. Particular circumstances affecting the value of an individual item may not be known or foreseeable at the time of the Valuation. Values can also fluctuate as a consequence of external circumstances such as (without limitation) changes in the prevailing market conditions for the item or changes in relevant scholarship. In addition, the preliminary nature of the valuation work carried out may mean that the identification, attribution and value of the item might be subject to change on further examination or research by experts at a later stage whether these are internal or external to the Company. 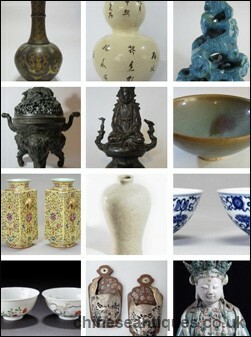 Unless otherwise stated in writing, the Valuation only reflects an estimate, the inherent characteristics (visible from the photographs provided) of the item being valued and does not reflect the surrounding circumstances of the item being valued (such as, without limitation, the items’ provenance or place in a wider collection, or the existence of several similar items available for sale at the same time). The Price shall be in accordance with the price list published on the Company’s website at the time the item is submitted by you. The Price is inclusive of VAT. The Company reserves the right to revise prices at all time and to hold special offers and discounts at various times. any other factors that cannot be identified by a reasonable inspection of the photographs received and information received by the Company (including but not limited to factors that can be identified only by a physical inspection of the item). Nothing in the Conditions of Business shall exclude or limit the Company’s liability for: death or personal injury caused by negligence (as such term is defined by the Unfair Contract Terms Act 1977); or fraud; or misrepresentation as to a fundamental matter; or any liability which cannot be excluded or limited under applicable law. the licence to the Valuation shall be revoked and the Client shall destroy the Valuation. the Agreement shall be terminated with immediate effect if the client breaches the Terms and Conditions and the Client shall not be entitled to a refund on the price paid for the Valuation; the licence to the Valuation shall be revoked and the Client shall destroy the Valuation; and the Client shall pay to the Company an amount equal to the Company’s liability, expenses and costs arising in connection with the Client’s breach of said terms or Unlawful Conduct. There shall be no further liability of the Company to the Client from the date of termination of the Agreement. No person who is not a party to the Agreement shall have any rights under the Contracts (Rights of Third Parties) Act 1999 to enforce any term of the Agreement. In the event that any part of the Agreement should be held to be unenforceable for any reason, that term shall be deemed to be not part of the Agreement, the remaining portions of the Agreement shall remain in full force and effect. The Agreement shall be construed in accordance with English law. In the event of disputes here under, the parties hereto submit to the exclusive jurisdiction of the English court.